Scientists estimate the time to a working commercial quantum computer at 10 years to maybe never. Error correction needs of qubits pose unknown challenges. 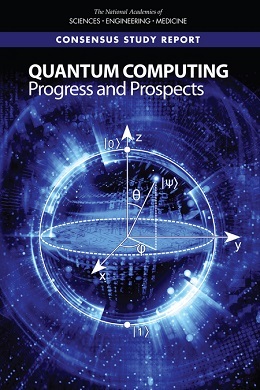 A free downloadable study on the state of quantum computing is available from The National Academies Press. This is an old video dated 2013, but has an easy to understand explanation on how a quantum computer works. 2^n is the number of information bits that can theoretically be combined. 2^300 is supposed to be a greater number than the number of [atoms] in the universe. But this is only useful for calculations that can make use of the super-position state. Also, for reading the final result, the quantum computer must drop back out of the super-position state into the normal state. For normal calculations, the quantum computer is projected to be slower than a regular computer. My k-Means Clustering talk file, part of Chapter 10. I gave my first short talk on a data science subject to a local Meetup group this week. Here's a shout-out to the group, Serious Data Science. Thanks Deborah, Julius, Elsa, Peter, and others. You guys are so supportive and kind! I don't think I would have read the ISLR book with such attention without all of you helping to keep my motivation high! :-) If you, Reader, live near Sterling, Virginia, please come and join this wonderful Meetup group. We meet monthly on the 2nd Tuesday evenings at REI Systems Inc building. I will be in NYC attending the 20th GARP Risk Conference. The agenda has several sessions on machine learning and AI along with the usual risk topics. I am interested in learning more about how data science and AI is being using by financial institutions. I will also catch up with my former colleagues from the SEC while I am there. Glad the scheduling worked out. Attended the PyData DC 2018 conference in Tysons Corner, VA over the weekend. I thoroughly enjoyed it. Everybody was very nice and welcoming towards relatively new programmers, like myself. I will post a write-up about several talks/software that caught my attention. This conference was more accessible for me than SciPy in July 2018 at Austin, TX. 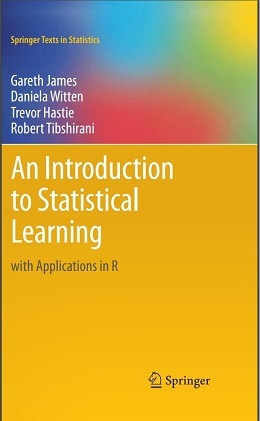 I come from a business background and have been learning Python and Data Science for only about 1.5 years. Many of the people I talked to at PyData had similar backgrounds. The SciPy community was more deeply into core python package development and were more advanced programmers. The majority seemed to have PhDs in a hard science or math field. For me personally, the learning experience was higher from the SciPy conference in a "tough love" way. But I felt more of a sense of belonging and was happier at the PyData conference. I will also have a writeup of a couple of the tools/talks I found most useful from the SciPy 2018 conference. I agreed to help Juan write a Windows OS version of "build" instructions for converting Markdown format files on GitHub to Jupyter notebooks, which are then saved as html or pdf book chapters, with or without output calculation cells. I tested several versions so far using conda virtual environment, partial bash tools for Windows, and the new Microsoft Windows Subsystem for Linux (for fully compatible bash scripts). Note on Jupyter notebooks: MikTex package needs to be installed at "C:/Program Files" and the Windows environment variable, system path needs to be set to this directory. MikTex allows LaTex and some markdown formatting codes to work for saving Jupyter notebooks to html and pdf formats. Part 1) A quick overview of cool talks from SciPy and PyData conferences. Part 2) A hands-on practical demos on the most useful AWS tools. Bonus - how to share your project on GitHub, and how to find other people's projects. Game 2048 slider, using my custom images and class objects. Python IO demo. Writing text files for controlling lab equipment settings.